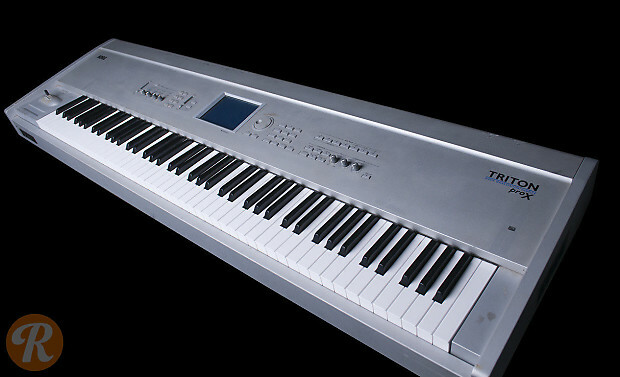 The Korg Triton replaced the Trinity as Korg's flaship workstation in 1999 and immediately became an industry standard. From doubling the polyphony and expanding the RAM to improving the sample quality and onboard storage, the Triton improved on the Trinity in virtually every way. The Pro X model expands the keyboard to 88 fully weighted keys.